Come and train with us! Applications are invited to join our teacher training programme in September 2018. The one year school direct training will be based in school, with additional training provided by Forest Independent Primary Collegiate, leading to Qualified Teacher Status. 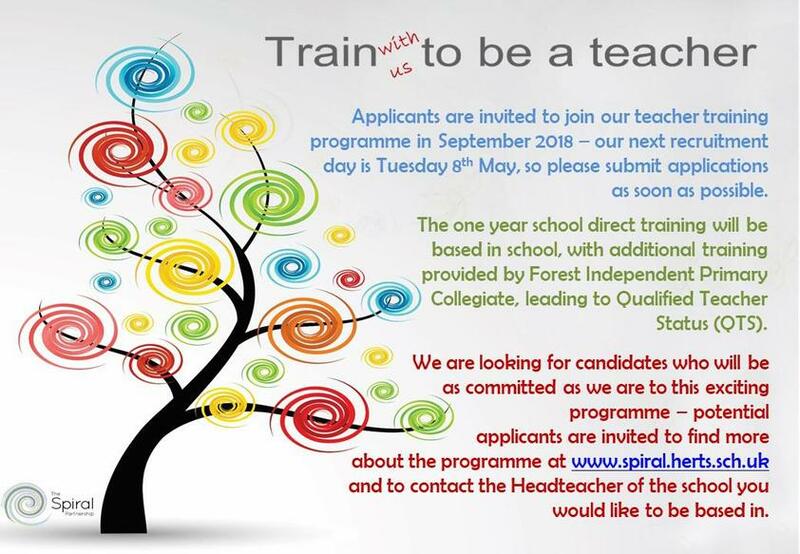 We are looking for candidates who will be as committed as we are to this exciting programme – potential applicants are invited to find out more about the programme at www.spiral.herts.sch.uk and to contact the headteacher.